The bones that make up the head and face have many hollow air pockets that are called sinuses. They help to provide sufficient cushion to the brain to prevent brain damage as much as possible in case of head trauma. These air pockets or sinuses as they are called have a thin tissue layer that produces mucus which keeps these pockets healthy and removes any germs that are present. When this lining gets irritated or infected, it leads to a condition that causes a lot of discomfort and in some cases, pain. 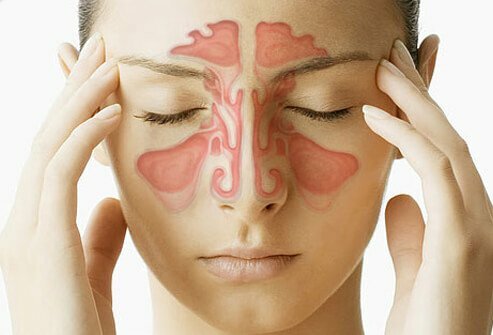 A good number of people all over the word suffer from this condition called sinusitis. It can cause severe headaches and extreme discomfort at times. As with any disease, it is important to know the proper symptoms so that you can know when you develop this condition. Identifying the condition helps to resort to the right kind of treatment so that you can get well as soon as possible. Chronic Rhinosinusitis happens due to infection, deviated nasal septum, or due to nasal polyps. The usual symptoms include nasal congestion, difficulty in breathing, pain and/or swelling around the eyes, reduction in the ability to taste and smell, sore throat, fatigue, aches in the upper jaw, etc. This condition is seen mainly in young adults or middle aged people, but at times children can develop it too. This condition usually starts off with a few weeks of acute sinusitis and then goes on to develop into a more severe form if it is not treated in time. Chronic Rhinosinusitis can really hamper your day to day activities since it causes painful headaches and constant nasal discharges. If your condition does not respond well to any normal treatment, immediately consult a doctor so that you can begin the right kind of treatment. There are also a number of natural remedies that are being used in various parts of the world. Before you try any of them, consult with your doctor first to get a professional opinion. As this saying goes, it is always better to be prepared beforehand so that you can do your best to steer clear of sinusitis without contracting it and then trying to cure it. If you are prone to allergies, you could contract Chronic Rhinosinusitis easily. Make sure that your surroundings are clean and that you protect yourself as much as possible from dust mites, cockroaches, mold, etc. Exposure to cigarette smoke is another main reason for this condition. Another factor is the immune system of the body. A weak immune system is less resistant to contracting this condition. Get in touch with your doctor today for preventive measures.